Did you know that infection in the mouth drastically increases the risk of heart attack and stroke, even when there is no dental pain involved. 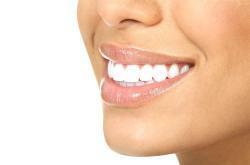 Infection in the mouth can also worsen diabetes, arthritis, and even reduces the weight of unborn babies. If severe dental problems are causing you discomfort, if you are having problems eating, or if you have a smile that you are not proud of; then you might need more comprehensive dental treatment than a routine checkup. Dental health is not just about the teeth, but relates also to the health of gum tissue, the surrounding bone and the overall health of the entire body. A bad bite or malocclusion can cause your teeth to wear and break and may be contributing to an unhealthy jaw joint (TMJ) as well as causing tension and vascular headaches and stiff neck. These types of aches may be misdiagnosed as migraine headaches. A healthy smile is not only about the teeth, but must be accompanied by health gum tissue, healthy Tempromandibular joints (TMJ’s), as well as good occlusion (a bite that is in harmony and balance with the teeth and the jaw joints); otherwise the smile and teeth may look attractive, but it will not long lasting and may not even be comfortable. Dr. Howard will carefully evaluate your entire oral health and recommend treatment that is long lasting and that is appropriate in restoring yourmouth to maximum appearance, comfort and function.